If you have crooked or misaligned teeth our dental braces in Islamabad can help you straighten them and give you the smile you deserve. There are a variety of treatments that can help straighten your teeth out this includes braces and retainers. Many general dentists out there tend to only align the teeth, however, we don’t only align your teeth but we can correct any irregularities that may have complications in your healthcare. Moreover, orthodontics is a separate department in the field of dentistry and the only person better do it is called an orthodontist. On your first visit to our clinic, our orthodontist will ask you a series of questions. These include questions about your health and if necessary we will take X-Rays, photographs, and impressions to better diagnose you. In some instances, a removable retainer can fix the job for you. However, in some cases, you might require dental braces. What types of dental braces in Islamabad are there? If you require braces, our dental clinic will provide you with an appliance that meets your needs. 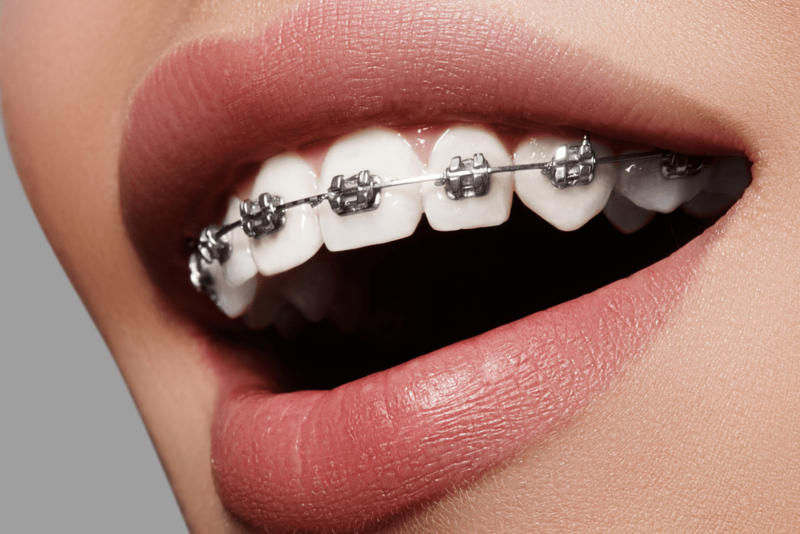 The braces may include wires, brackets, and other fixed appliances. No one method works for everyone. Braces work by applying a continuous period of time to slowly move the teeth in a particular direction. As the teeth move, they apply pressure on the bone which changes the shape of the bone as well. Brackets. Brackets are small appliances that our orthodontist bonds to the front part of your teeth. This is held with the tooth via a special bonding agent. Brackets act like handles, holding the archwires that move the teeth. There are a variety of brackets, including stainless steel, tooth colored ceramic or plastic, which are often selected because they are aesthetically pleasing. Sometimes we tend to cement brackets to the back side of teeth, in order to hide them. Orthodontic Bands. We tend to use bands that are either stainless steel, clear or are tooth-colored materials. Orthodontic bands are then cemented to your molars. 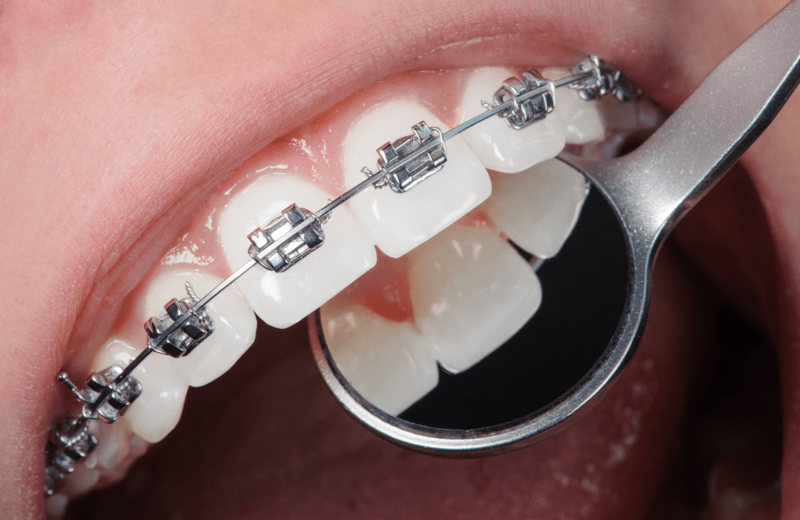 The orthodontic bands that we use wrap around the entire teeth thus giving us a lot of anchorage for brackets. If you opt for tooth-colored bands, although they are aesthetically pleasing they are expensive. Furthermore, we don’t use bands on each and every patient, this varies from case to case. Spacers. Spacers are separators that we place in between teeth to create a small space prior to bands and bracket placement. Wires. Wires or archwires tend to guide teeth into alignment. We use different types of wires, either they can be tooth colored or they can have a metallic appearance. Ligatures. These are ties that hold the archwire to the brackets. Buccal Tube. This holds the archwires end to the tooth. Springs. Springs may be placed in order to open or close spaces between teeth. Elastics or Rubber bands. Elastic/rubber bands are attached to the hooks of brackets and they can be worn in various ways. We do provide mini dental braces in Islamabad to some patients, these are much smaller than traditional braces. However, again on the results that you desire and if we can go through with the procedure. One other method of getting teeth straightened is by using custom made clear plastic retainers. Our orthodontist will determine the best option for your situation in your first visit to Z Dental Studio. The distance the teeth must travel. The health of teeth, gums and the supporting bone. How closely the patient follows our instructions. On average, once we place braces, they usually stay in place for one to two years. After the braces are removed, we will provide a retainer to our patient that’ll be worn for 6 months to keep the teeth in a stable position. How often do you need to visit us during the treatment? We will keep appointments for you after 2 weeks or maybe one month to make sure that the braces are exerting a steady force on teeth. To create more tension or exert more force, we will make adjustments to the wire, ligatures, springs and rubber bands. Rarely, in some cases, braces are not sufficient to align the teeth or jaw. In these situations, we use mini implants or other appliances to make a shift in the position of teeth. The dental braces in Islamabad that we offer are absolutely painless. Some of the adjustments that we make may feel a bit uncomfortable but that is it. If needed we will provide you with necessary painkillers so that you don’t feel a thing. However, if you still feel pain then we’re always here for you. Does age affect the success of dental braces in Islamabad? The mechanical process required to move teeth is the same at any age. So the benefits of dental braces at Z Dental Studio are available to both children and to adults. We’ve had 60-year-old patients getting braces done by us and we’ve gotten pretty amazing results out of it. The only difference between the treatment of adults and children is that in adults we may require something additional to braces to align the teeth. This is because in adults the bone is not growing but is in a stable position. Can you play sports and do your regular activities while having braces? Yes of course. If it was that painful/uncomfortable we wouldn’t be doing it in the first place. You can continue to participate in any sport you wish. However, care must be taken while doing such activities. If you are still worried about your braces then we will provide you with a mouth guard that will keep your teeth and braces safe and sound. However, we’ve never had complains of braces. A mouth guard is made of a clear plastic material that will protect your soft tissue and braces if there’s an impact on your teeth. Post-op care after completion of your dental braces treatment. Once the braces are taken off, we will ultrasonically clean each and every tooth. We might take a few X-Rays and we might take a bite impression just to see how much we’ve straightened your teeth. Moreover, we will also check if there are any visible signs of your third molar eruption. Wisdom teeth might have an impact on your newly aligned teeth, if this is the case we might recommend to extract them. We provide a retainer after the removal of braces, this will help to keep your newly aligned teeth in place. The retainers that we use are custom made and may be fixed or removable. Retainers are also effective against minor orthodontic treatment. The use of a retainer after dental braces treatment is of prime importance. 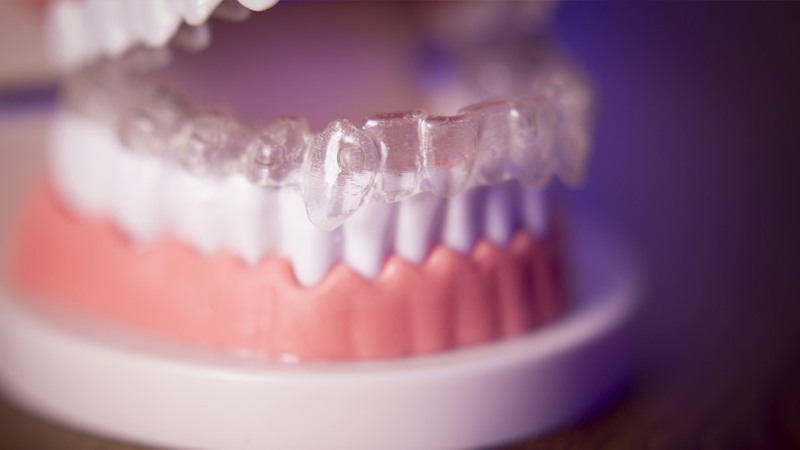 Retainers that are made of clear plastic material may be worn for the first 6 months after getting a treatment done at Z Dental Studio, after that you may wear it during your sleep. The time frame for wearing a retainer varies from patient to patient. Furthermore, the gums, bone, soft tissue adapt to the newly positioned teeth, if retainers are not worn then your teeth might relapse. We’re going to lay down some alternatives in this section. However, you should keep in mind that these options might be a bit more invasive than metallic braces. There’s also another treatment which may be quite unconventional but sometimes we give our patient 3-4 teeth bleaching sessions in Islamabad to sort of camouflage their malaligned teeth but then again, that’s our patients choice and we only can give out options. The cost of braces varies at Z Dental Studio. However, we do give our valuable patients the best affordable dental treatment in Islamabad and we tend to take the entire treatment procedure’s money in installments.